You may have noticed the sculpture of the word “LOVE” erected in Dupont Circle last week. 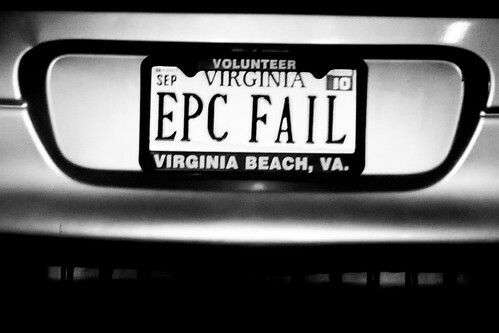 While it was billed as an art installation, it was actually part of an ad blitz done for the Virginia Tourism campaign, and the Park Service isn’t happy at all about being lied to. 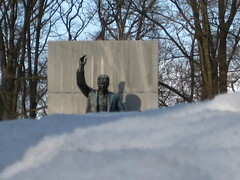 According to Lydia DePillis from the City Paper, the installation was removed with prejudice Friday. Virginia Tourism took down their blog posting on the takeover, but the press release remains online. What would an ad like that cost, though? I know you can’t buy ad space in Dupont Circle, as it’s Park Service land and they don’t permit advertising on public land, even in DC, but I did some talking to media buyers today, and came up with some numbers. The Blossoms Are Coming! The Blossoms Are Coming! I don’t know about you, but I’m ready for this winter to be over. The best signpost of spring around here is the blooming of the cherry trees, and National Park Service Chief Horticulturist Rob DeFeo has finally announced their best estimate as to when we’ll be seeing these beautiful blooms. According to the NPS press conference this morning at the Newseum, we’re looking at an expected “arrival” of April 3-8 for peak coverage. The average peak bloom date is April 4 and is considered the day when 70% of the blossoms of the Yoshino Cherry trees are open. The peak bloom every year varies due to weather and can be as early as March 15 or as late as April 18. The blooming period usually starts several days before the peak bloom date and can last as long as two weeks, though frost, wind, and high temps can fluctuate that window. The annual National Cherry Blossom Festival is usually timed around the average peak bloom date; this year’s festival will be from March 27 – April 11. There’s still time to volunteer for the festival, so if you’re interested then vist the official NCBF website and sign up today. 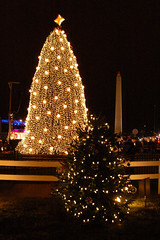 Getting ready to stand in line for tickets for the National Christmas Tree Lighting ceremony next week? Beginning November 9, ticket seekers can check the status of their request online; tickets will be mailed by November 15. NPS is handing out more tickets this year, hence the change of tradition. The December 3 event will open its gates at 3:30 p.m. for all ticket holders. The C&O, Refilled. The boats… soon. 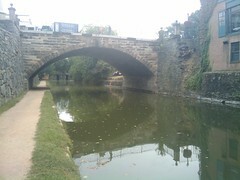 Paulo took a shot of what I consider one of the happiest sights of the day: the C&O canal in Georgetown has been refilled. Also happy news, I called the National Parks Service’s Georgetown visitor center and a representative said that boat tours will resume this Sunday. They happen three times a day, at 11am, 1:30pm and 3pm Wednesdays through Sundays, with the mules that pull the boat taking Monday & Tuesday off. If you’ve never taken one I highly suggest it. The canal is lovely and the tour very informative. You have to agree that as much as we love DC, it’s always nice to get out of the city. Luckily for us there are a lot of national parks in the area that make for great road trip destinations with family and friends (or by yourself if you’re the loner type). I know one of my favorites to visit in the fall will always be Shenandoah National Park, that is when it’s not swarming with people. 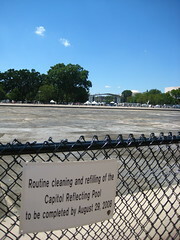 Heads-up to those of you who were hoping for a nice, relaxing wade in the cool, green, avian botulism-infected waters of the Capitol Reflecting Pool: the National Park Service has drained the Pool till Aug 29th. NPS had considered draining as a quick, immediate protective measure to wildlife — cheaper and faster than installing a water circulation and filtering system, but not quite as aesthetically pleasing. It looks like they went ahead with the draining plan, or perhaps it coincided with what the sign on the fence says is a “routine cleansing.” It’s ugly, but less so, I guess, than piles of duck corpses. 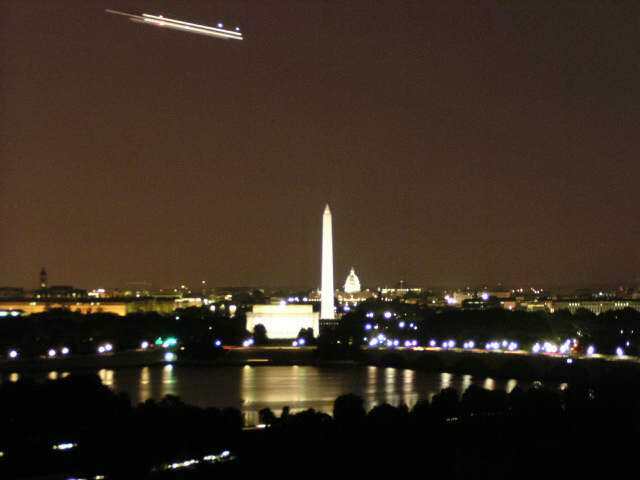 I’m a big fan of the National Park Service’s webcams, especially the Washington DC cam viewing the Mall area from the Netherlands Carillon on the GW Parkway. Having a windowless inside office I like to keep this cam (among other outdoor DC cams) open in a separate browser window to provide an outside view through the course of the work day. I’ve also used it for at least one time lapse video. 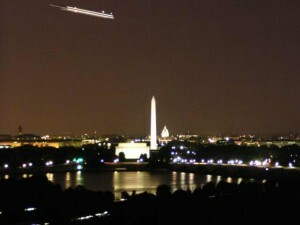 Update: Oh nice, check out brianmka’s incidental capture of a landing plane at night from right near the same webcam.